​In 2009, with the addition of the 6000 square foot banquet hall, the leaders of the Hormel Historic Home made the commitment to offer programs that benefit the community of Austin. With the rise in diagnosed cases of children with Autism Spectrum Disorders, the HHH decided to offer a space where the needs of families affected by ASD could be met. We now offer the Circle of Friends Day Camp for kids entering 1st through 5th grade and All Access Community Explorations, a 10 session camp for youth entering 6th through 12th grades. In 2015 we added Camp Just for Me in order to meet the needs of kids on the Spectrum who need greater assistance. CJFM is a 5 session program for up to 5 young people ages 7-17. In order to allow our younger campers to get together throughout the year we started the ASD Respite Night Program which offers parents a few hours off and the kids a fun night of socializing and activity at the Austin YMCA. Respite night programming is currently available for youth in K-6th grades. In 2017, the Autism Friendly Austin Initiative was launched with the goal of making the entire community of Austin aware of how those on the spectrum can be included in the community. The AFA initiative has trained and qualified businesses and services providers as Autism Friendly and has hosted a variety of activities dedicated to raising awareness of Autism throughout the year. Downloadable Social Narrative to assist those with sensory processing disorders when visiting the Hormel Historic Home. Though generously funded by the United Way of Mower County and the Hormel Foundation, we rely on additional fundraising and donations. 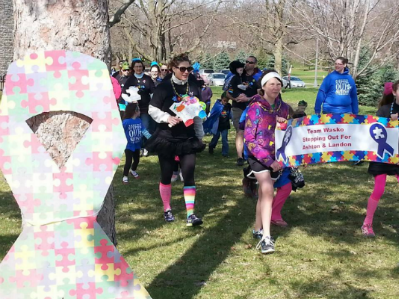 All money raised remains in Mower County to support youth on the Autism Spectrum. Thank you for considering making a tax deductible donation today. If you are interested in receiving news about local, state, and national news regarding Autism, please submit your e-mail address below. We will send 1-2 messages per month to let you know about upcoming events and related articles. Thank you. Click on the button below to make a tax deductible donation to the Hormel Historic Home Autism Programming. The Autism Programming at the Hormel Historic Home relies on Grants, Camp Fees, Fundraisers, and Donations. We would greatly appreciate your support.